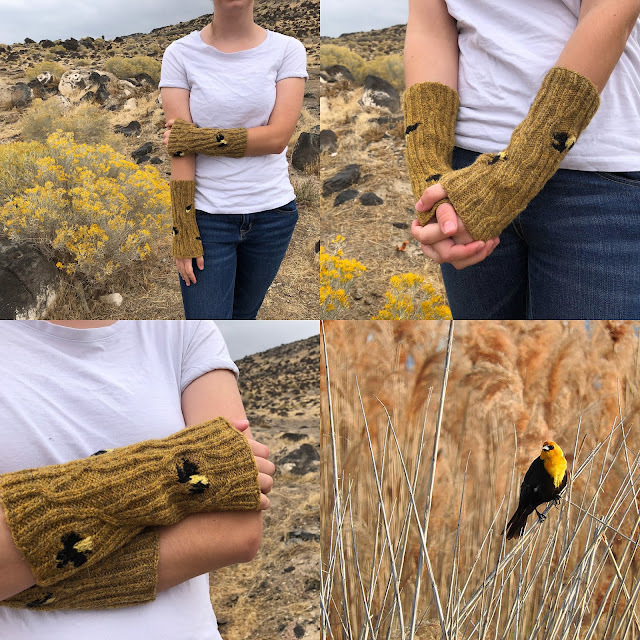 Another work showing in the exhibition Sense of Place at the Alice Gallery are my whimsical Yellow-headed Blackbirds wristlets. These birds are in abundance in the spring at Bear Lake Migratory Bird Refuge on the shores of Great Salt Lake where my exhibition partner Kelly Baisley and I spent a morning surrounded by them. The brightly colored birds nest in the tall rushes and grasses of the wetlands. Their flashy yellow and black plumage demand attention as they roost and fly along the shores.